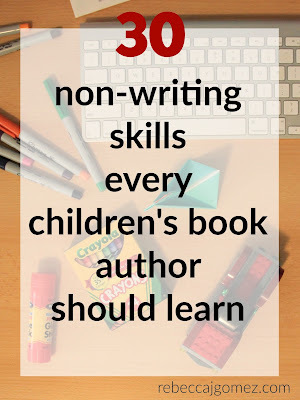 It's no secret that being an author involves a lot of writing and writing-related skills. Storytelling, proofreading, plotting, revising...the list goes on. 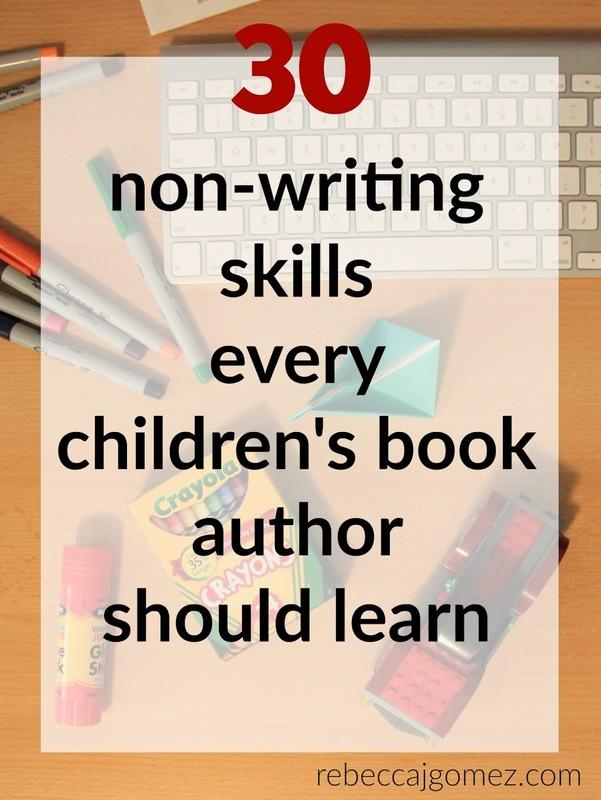 But there are just as many--possibly even more--skills that have nothing to do with writing that are key in helping you be a successful children's author. Many of these skills I've started developing over the past few years, and I've used them all! Most of these skills are essential. All of them are useful. This may seem obvious, but some people are naturally better at this than others. Practice reading aloud using inflection and facial expressions. You don't want to read your book aloud in monotone and put your audience to sleep! Kids are drawn to fun patterns, book/movie characters, and colorful shoes! Be professional, but kid friendly! Need wardrobe help? Cathrine Denton's capsule wardrobe tips helped me figure out how to dress. Essential for any author that wishes to do school visits or book signing events. Brush up on those high school speech class skills. Practice with small crowds of people you know. Social media networking will help you connect with authors, educators, and other book people, which will ultimately lead to people learning about you and your books! Even if you're the kind of person that will hire a graphic designer to create postcard and bookmark designs, you'll want to learn some graphic design basics. This will help you quickly create timely images to share on your website, blog, and social media sites. I like using PicMonkey for my blog graphics. Canva is another popular one, and it has lots of templates that you can use for free! This isn't just for those public speaking events! Conversations will naturally lead to questions about what you do. Be prepared! Seriously. This part of being an author should not be missed! Negative reviews are going to happen. Learn from them, but don't take them too hard! 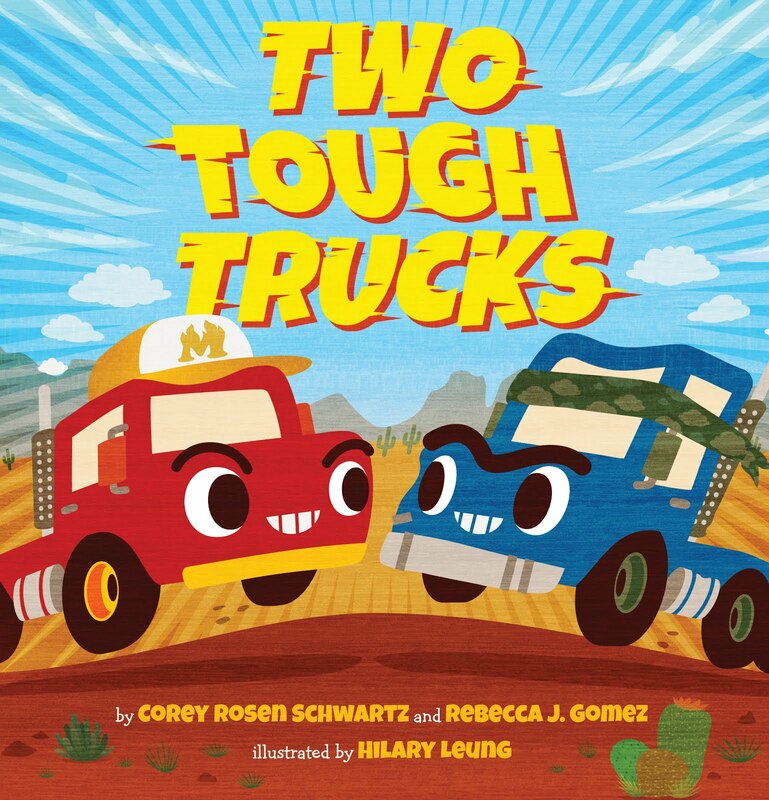 Even if you don't write "funny" books, knowing how to elicit a few giggles from a crowd of kids will be a handy skill to have! Book themed crafts are good extension activities. Design your own or search for some that will work with your books. Either way, be a master with scissors and glue! Like book store managers and people at conferences and book fairs! The last thing you want to do is bumble your words when describing your book! An "elevator pitch" can be useful in everyday conversation. Of all the non-writing skills, this one may be the most helpful in keeping yourself sane. You write for kids. Do I have to explain this one? A handy skill that will save you some money. Kids seem to love word searches, by the way. Not to be confused with stalking. But it's good to observe people, especially kids, and pay attention to how they interact with each other. Volunteering in a classroom or in the kids' area at church can help with this. Trust me. It's not like signing a check. Whether you want to create a book trailer or simply record a vlog, this skill can be very useful in helping you engage with your audience. People like visual content. So take pictures. Good ones. I like using Instagram because the available filters and other editing tools can help make almost any photo look great! Useful for creating slideshows for school visit presentations. Also handy for putting together activity pages. You need to know the market. What's being published? What's selling well? 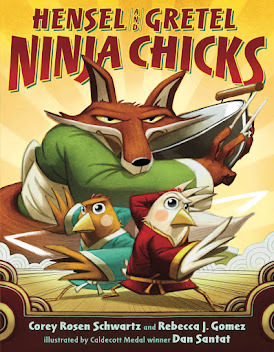 Read mentor texts, old and new. Plus, kids will ask you what your favorite books are. It will be wise to share about new books as well as old favorites. Nobody wants to present to a group of kids that aren't interested. Learn how to engage with kids who seem disinterested. Interactive presentations are a good start. This may require some trial and error. Of course, enthusiasm on your part is vital! 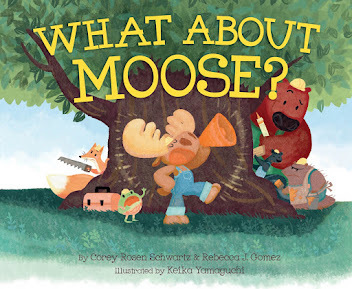 For school visits, author appearances, book fairs, etc. Stuffed animals are a big draw. And other props. Make it fun and inviting. This goes beyond crafts and activity pages. Coming up with unique games or group activities that you can share with teachers or use during your visits will help you stand out in a crowd, and make you a hit with the kids. Even in the age of GPS, it's good to know how to get around. When you're driving to an unfamiliar area for a school visit, you're gonna want to be able to get there even if technology fails you. Hint: Ask your school contact about traffic issues, parking, construction, etc. Building a platform, maintaining a platform, promoting your books, visiting schools, writing. You've got a lot on your plate. Finding a good balance is essential. You're going to have to promote your own books, even if your publisher does publicity too. It can feel a little awkward at first, but it's necessary. The good news is that much of this is just getting out there and getting to know people. But you've got to talk about your books too. Don't be shy! Keeping track of income and expenses is essential, and being organized makes tax season much simpler. Kids (and adults) might ask questions you didn't anticipate. So, expect the unexpected, and practice pausing without saying "umm." 30. How to inspire a child! Writing a book that children love is part of it. But there's more to it than that. Hint: Think of your own childhood. How can you use that to connect with children today? Many of these skills are useful for people in a variety of fields. It's good to always keep learning and improving!